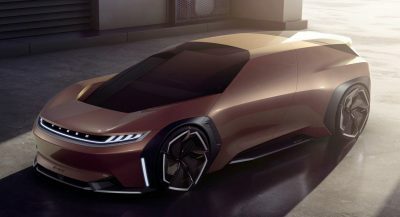 Very few cars have ever been sold with quad turbochargers, the most notable of which come from Bugatti in the form of the EB 110, Veryon, and Chiron. 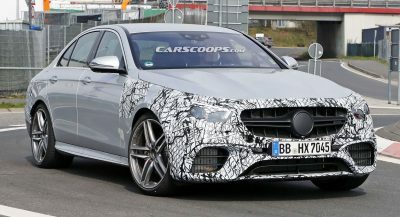 However, BMW has a quad-turbo engine in its line-up, though instead of a gasoline unit it is a diesel powering the M550d, 750d, and X5 M50d xDrive. 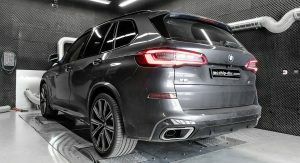 In stock form, this quad-turbo straight-six diesel engine pumps out 400 hp and 760 Nm (560 lb-ft) of torque, but McChip DKR recently got its hands on an X5 M50d and developed a tuning package. 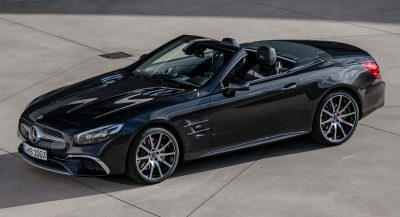 McChip’s Stage 1 software optimization instantly boosts output to 470 hp and 850 Nm (626 lb-ft), while the available Stage 2 software optimization results in a total of 515 hp and 865 Nm (638 lb-ft) of torque. For those keeping score, that’s still short of the 567 hp delivered by the current X5 M’s twin-turbocharged 4.4-liter V8, although it’s plenty for a diesel engine. 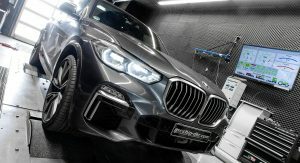 The tuning company says that the Stage 1 tune means the X5 M50d can run through to 280 km/h (174 mph), while the Stage 2 kit results in a top speed of 285 km/h (177 mph). 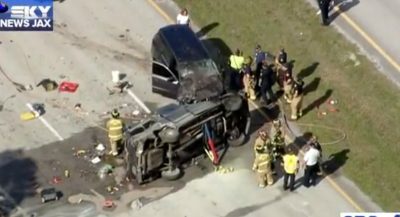 Those are some very impressive figures, particularly when you consider that the SUV is driven by diesel and not gasoline. 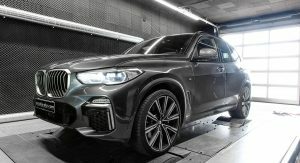 McChip DKR hasn’t published acceleration figures for its X5 M50d, but in standard guise, the SUV hits 100 km/h (62 mph) in 5.2 seconds and is electronically limited to 250 km/h (155 mph). It goes without saying that the tuned versions will, in all likelihood, be able to clock sub-5 second acceleration runs.